John Craig, (a.k.a Echan Deravy), born in Scotland, has lived multiple lives as an expat in Japan. He has written and translated over 40 books on new paradigm science, spirituality, travel, ancient civilisation, consciousness, health and ecology. 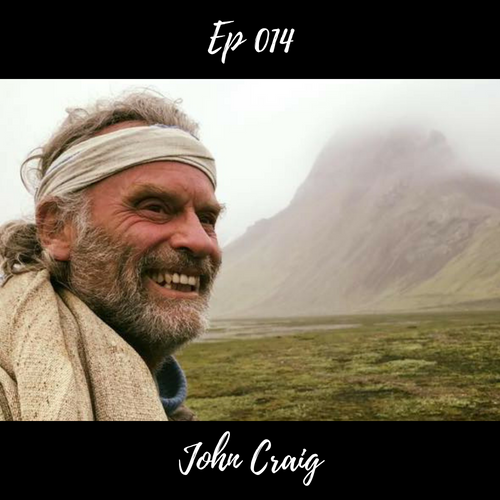 As a documentary film maker John has recently produced ‘Why on Earth’ about a barefoot walk across Iceland as well as ‘Earth Pilgrims’ filmed in six different countries. He introduced Earthing to Japan and has been involved in some of the research measuring the health benefits. I was literally blown away by this episode as John discusses a simple yet highly effective health hack that is hugely overlooked and that is... Earthing or Grounding as it’s sometimes called. There have been over 25 published research papers on the benefits of earthing, many of which are peer reviewed. This has been a radical breakthrough in understanding about our bodies, the planet and health. We must remember that we are mammals, and all other living things on the planet be it plants, insects or animals are in direct contact with the planet. All of our ancestors up until around 200 years ago were in constant contact with the earth. If shoes were worn, they were leather which is a conductor of electricity, particularly when slightly damp from sweat or rain. Since plastics and synthetic materials have been developed, we are essentially now insulated from the earth and the grounding potentials it offers, with shoes, flooring and insulation. Want to hear John more?